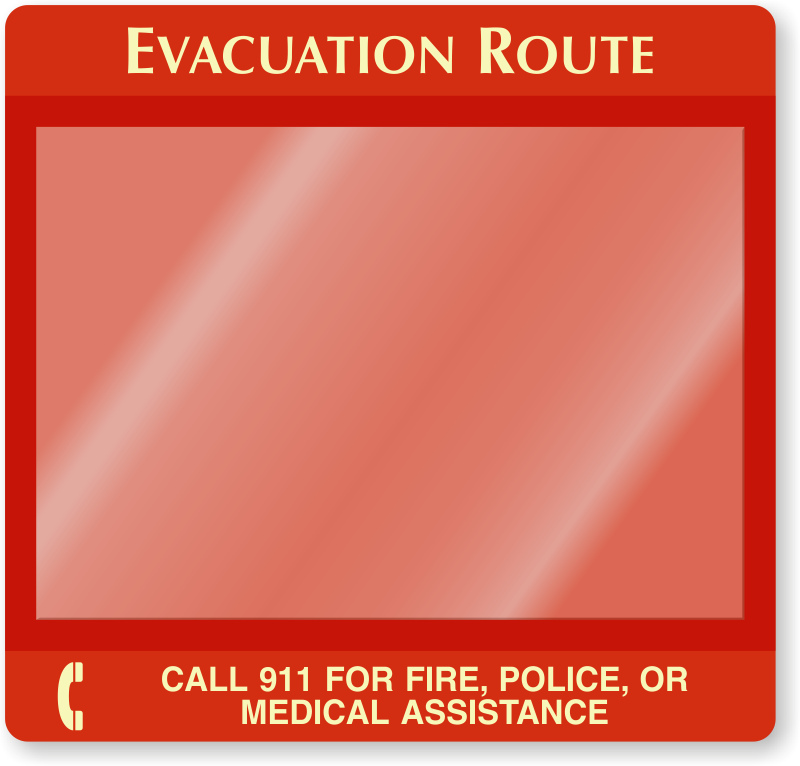 Your evacuation path needs to be seen — even in the dark. 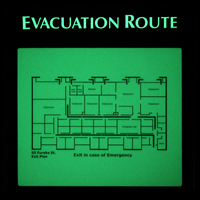 Glowing EVACUATION ROUTE text shows off your map and durable frame, so everyone can always find the map when it matters the most. 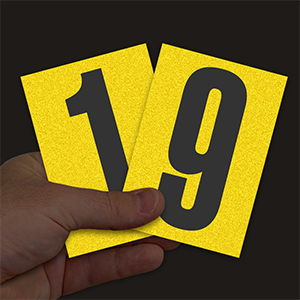 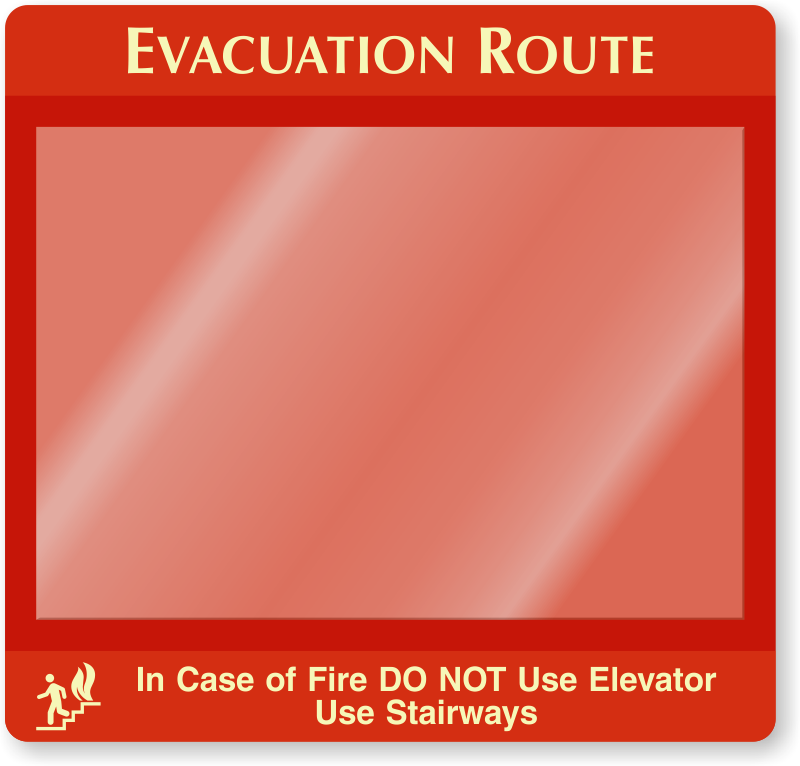 • Create a standard-sized transparency or printed sheet of your map and insert it into the frame. • If you want your map to glow, create your own map transparency and use a glow insert (below). 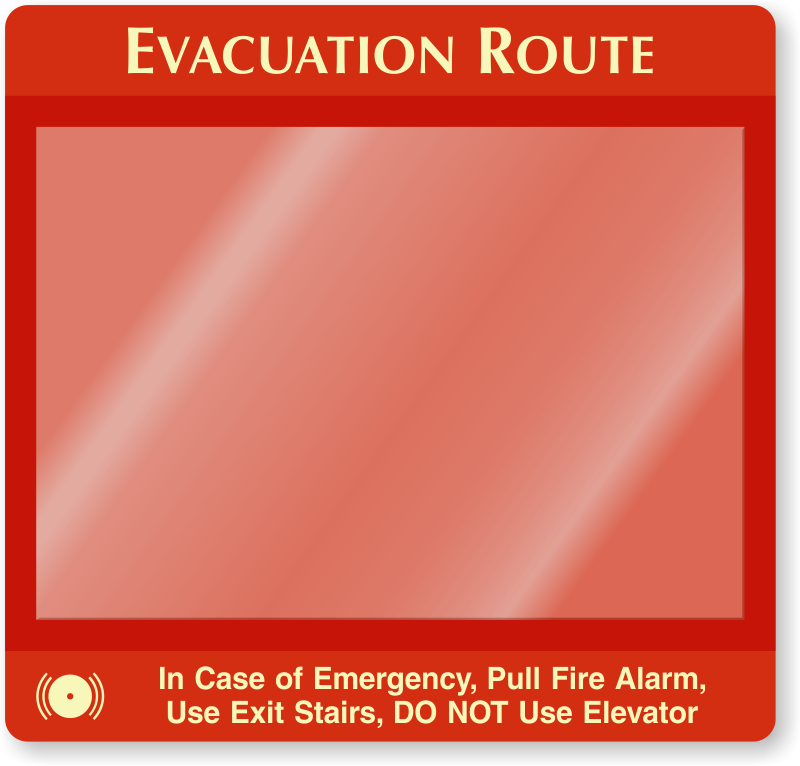 • Add the glow insert behind the transparency. 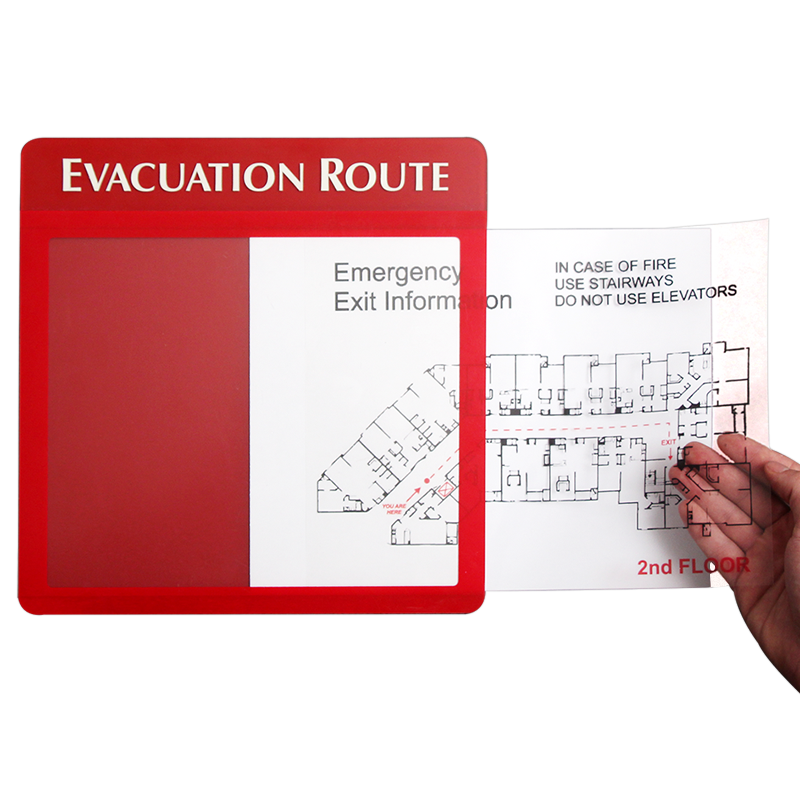 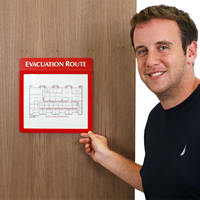 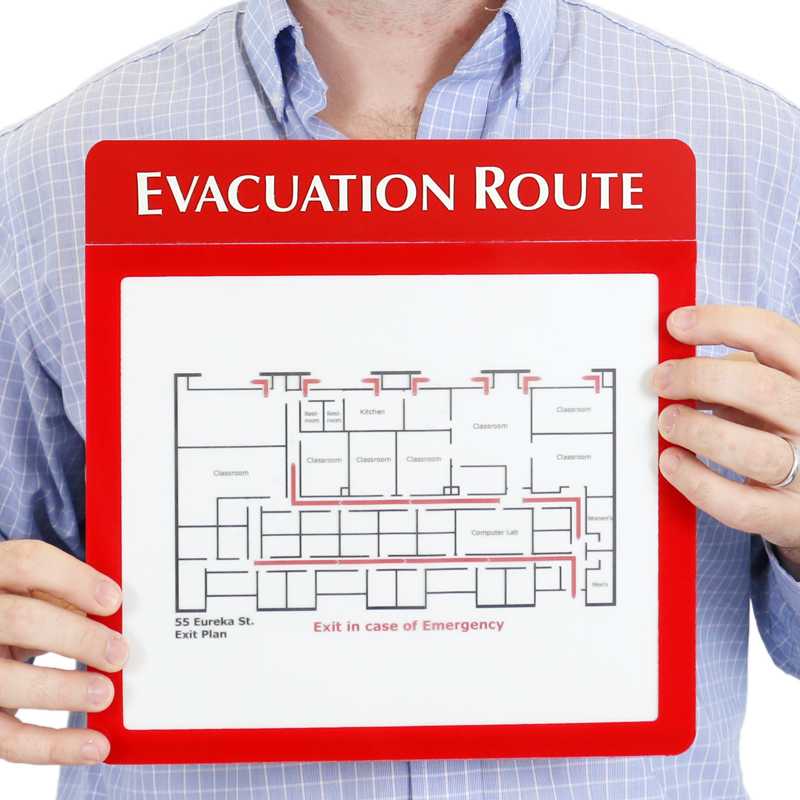 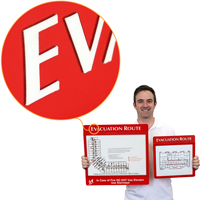 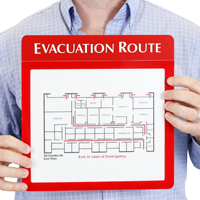 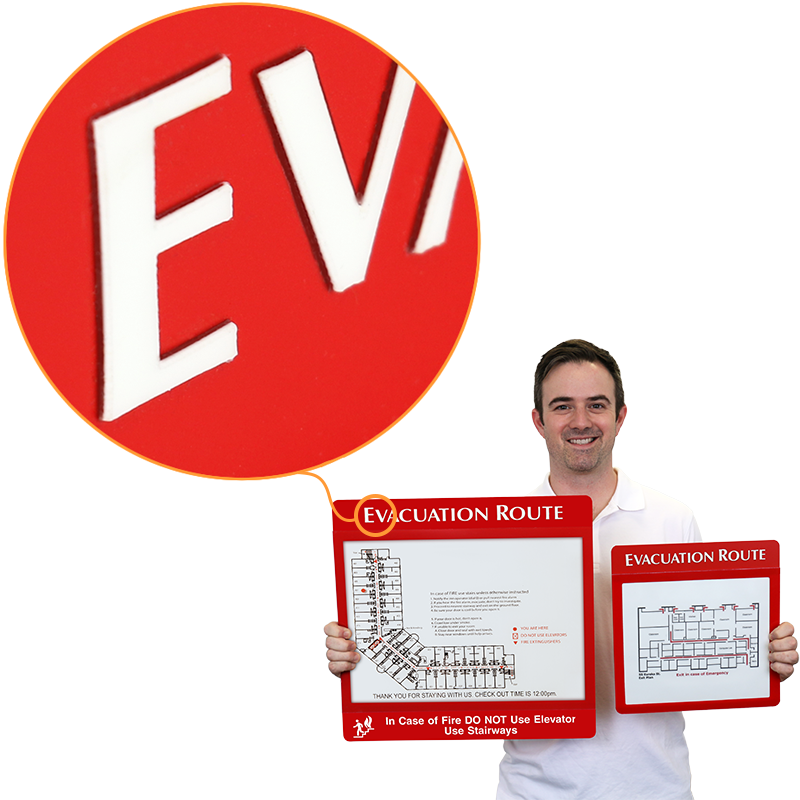 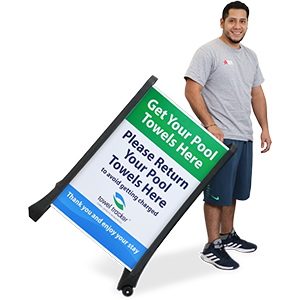 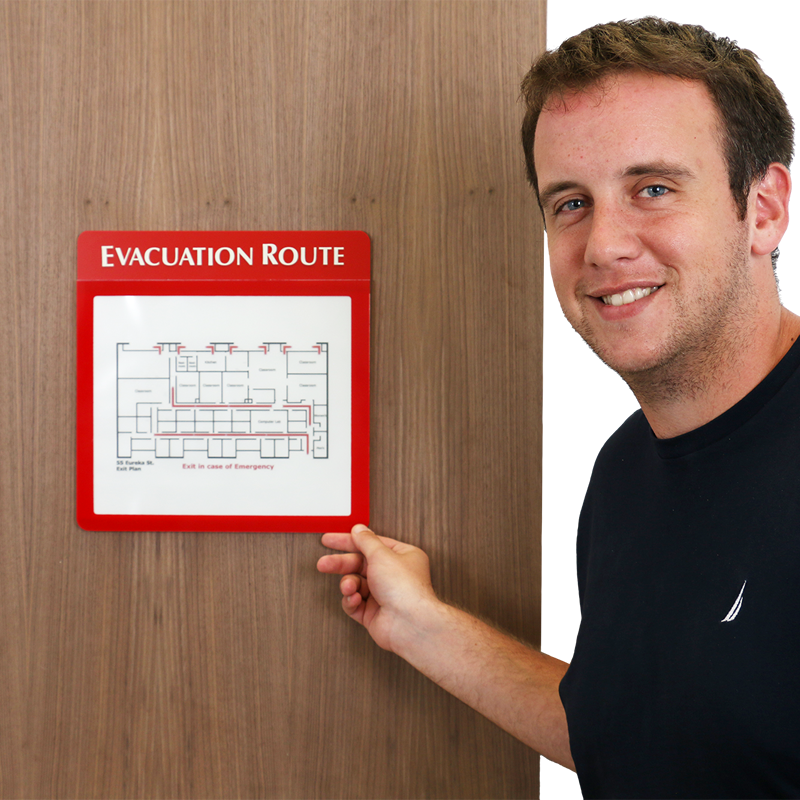 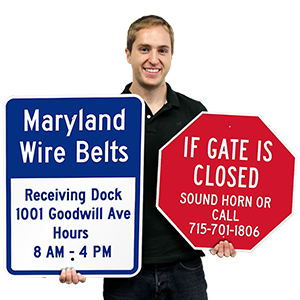 You can make your own at any copy center, just start with your evacuation plan and copy it onto transparent sheet. Frame holds a 8.5" x 11" insert. 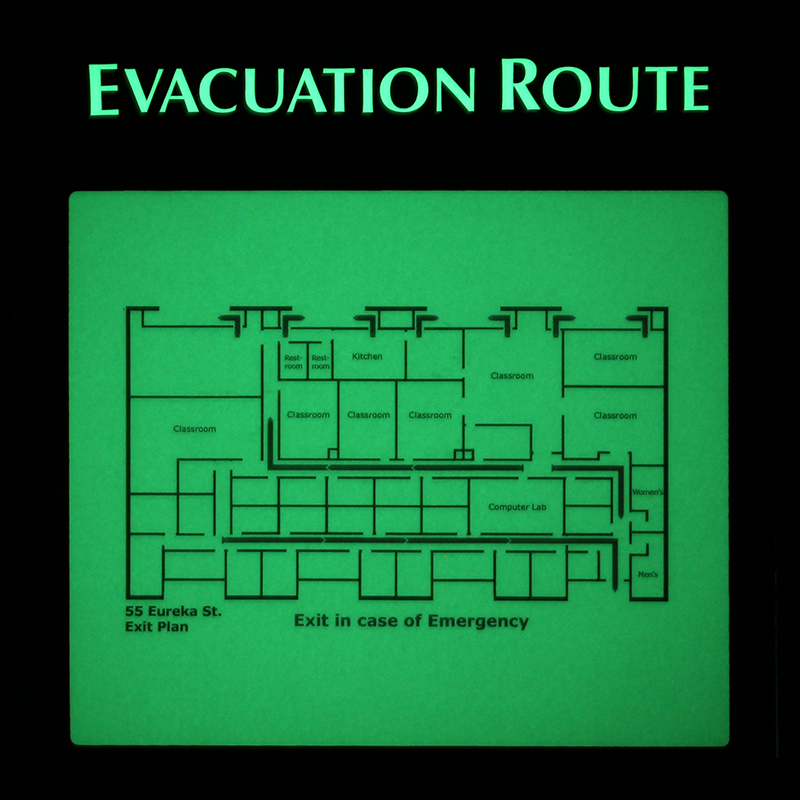 Would you like to add a photoluminescent glow insert for your exit sign?